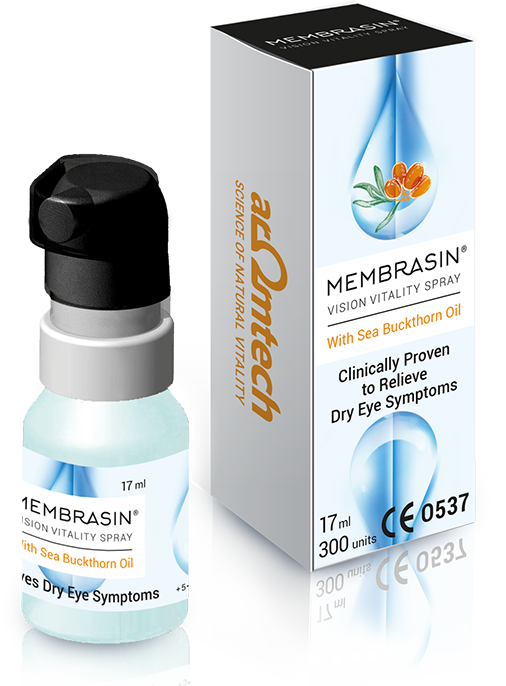 Medical device product clinically proven to relieve dry eye symptoms. Alcohol- and preservative free eye spray. DOSAGE: Spray on closed eyelids from a distance of about 25 cm. Apply 1-2 sprays 1-4 times a day. Download the Membrasin® Vision Vitality Spray product card here.